Hess Corp. (NYSE:HES)‘s CEO, John Hess, has the solution for increasing his company’s revenues and at the same time adapting to the current geopolitical situation. Hess was part of a panel discussion on CNBC which was also attended by US Senator Heidi Heitkamp. “[…] For us to respond to the events in Russia as well as the Mideast is quite simple. To repeal the ban on crude exports […],” said Hess. Hess explained that circumstances have greatly changed since the ban was put in place in 1970’s which was a time when an embargo was placed on the Mid East oil and there was a shortage of oil in US as well. Hess explained that now the supply strength of the energy commodity looks strong and the same can be said about its future outlook. Hess Corp. (NYSE:HES) which is a 95 year old globally integrated energy company stands to benefit substantially if such an embargo is lifted. By increasing its exports, Hess Corp. (NYSE:HES), will be able to fatten its bottom line. 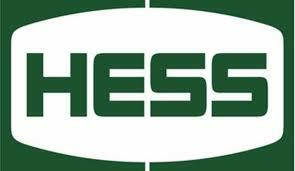 If the ban is lifted, Hess Corp. (NYSE:HES) would be among the list of companies that would be at the forefront of providing additional employment opportunities. Moreover, the price of oil would be lower and that would also increase economic activity. Senator Heitkamp agreed with Hess and said that the ban on crude oil doesn’t make sence from a policy perspective as the export of gasoline is permitted while crude oil is banned. She pointed out that the repeal of the ban could make North America the Poweerhouse of the world. The senator also cited the dangers of not lifting the ban. She explained that energy companies like Hess Corp. (NYSE:HES) will find it more profitibale to invest in other countries where they can export more products like crude oil. Hence, it could potentially drive investment away from US.